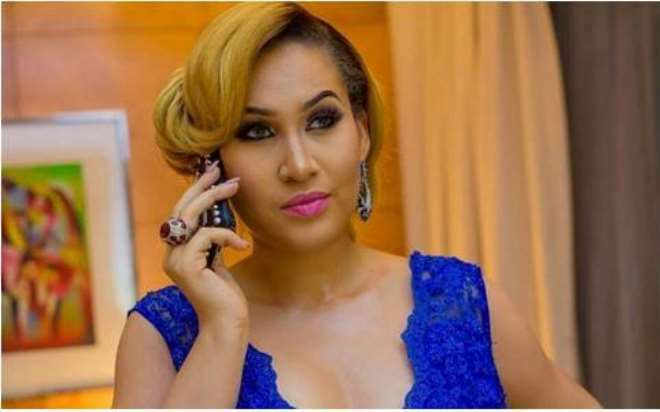 Popular actress, Caroline Danjuma has been trending as she always in the news recently. The actress who has been in the news for bleaching allegation and cyber bulling by fans, took to her page to clarify some things. She was among the celebrities who graced the Chieftaincy ceremony of Joseph and Adaeze Yobo in River state recently. A fan that was also present at the event took to the actress page earlier today to show her disappointment after seeing her in person. The fan accused the actress of bleaching her skin, saying the actress ought to look like a mixed raced, but looks like a complete Caucasian.